The Walter Camp Football Foundation has announced the Football Bowl Subdivision National Offensive and Defensive Players of the Week, presented by Generation UCAN, for games ending September 2. Games played on September 3 and 4 will be considered for next week’s awards. 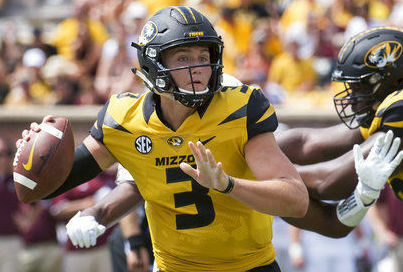 Drew Lock threw for a school-record seven touchdowns as Missouri defeated Missouri State, 72-43. Lock completed 21-of-34 passes for a school-record 521 yards, including 393 in the first half alone. Lock’s 521 passing yards are the fifth-most by any Southeastern Conference quarterback in a game, and his seven touchdown passes tied the single-game mark. Notes: Drew Lock is the sixth Missouri player to earn Walter Camp Player of the Week honors since 2004, and the first since defensive end Markus Golden was recognized on November 23, 2014. 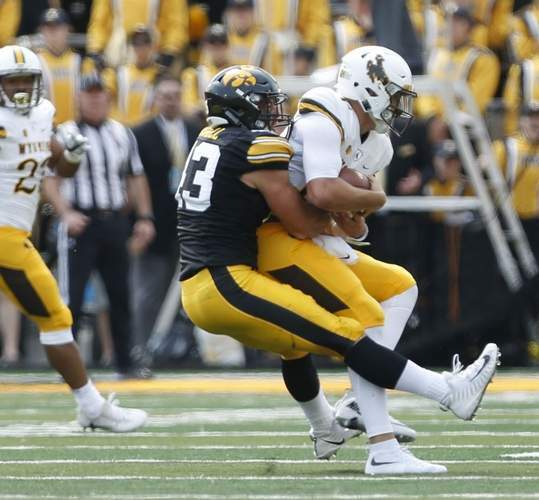 Josey Jewell recorded a game-high 14 tackles (7 solo), including 2.5 for losses as Iowa defeated Wyoming, 24-3. Jewell added two quarterback sacks and deflected one pass. Led by Jewell, Iowa’s defense limited the Cowboys to three points — the fewest for the program since 2015 — and held Wyoming to 233 total yards on 70 plays. Notes: Josey Jewell is the third Iowa player to earn Walter Camp National Defensive Player of the Week honors since 2004, joining former Hawkeye linebacker standouts Chad Greenway (9/5/04) and Mike Klinkenborg, (9/17/06).